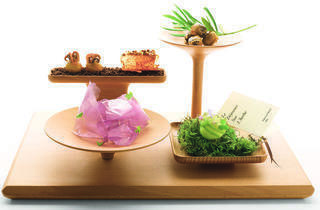 André Chiang bases his menu on his eight elements of 'octaphilosophy’: salt, texture, memory, pure, terroir, south, artisan and unique. While the menu changes seasonally, there is one dish that follows Chiang everywhere he cooks and makes an appearance at every dinner service. 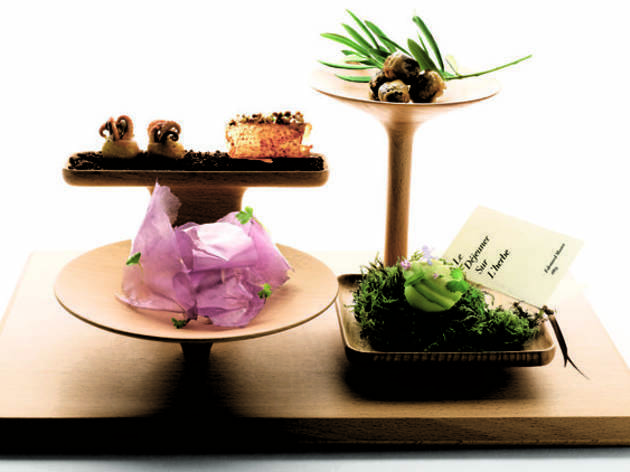 Memory 1997 is reminiscent of Chiang's first-ever culinary creation that redefined his own cooking style. It's a warm foie gras jelly served with black truffle coulis that he first started cooking 20 years ago as a young chef in France.